Since their humble beginnings in 2012, Corndale Farm has always had the goal of producing top quality pork from his herd of rare breed free-range pigs. Alastair uses only the best ingredients to make his free-range chorizo. Alastair wanted a website which was clean, considered and showcased his brand in the best light. Over the last 12 months, Alastair has developed his own range of speciality chorizo and is currently supplying local restaurants. 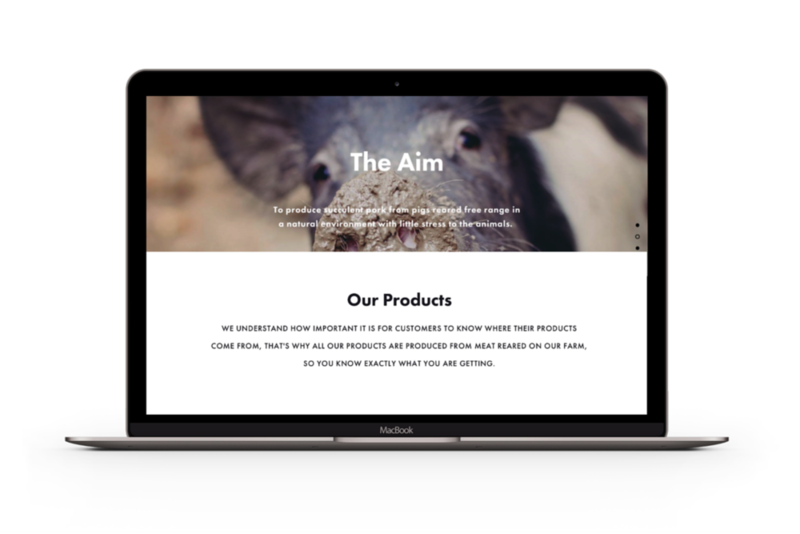 I'm currently working with Alastair on a second phase website which will include more information about the company, the chorizo process and an online store to purchase the local produce. To coincide with the second phase website we are working with photographer Simon Hutchinson to capture the essence of the fast growing Corndale Farm brand and their new premises; focusing on the small team and the intensive process that goes in to making the Chorizo.